Last weekend Candace Payne's 'Chewbacca Mask' video acheived over 100mm views on Facebook. 'Live' refers to the way it was uploaded - no editing, no enhancement. Live is now the simplest way to upload video to Facebook (& YouTube, Instagram and Snapchat etc) - just open the app and shoot away. The speed is extraordinary. It his 100m in about 48 hours, I think. By comparison Adele's Hello hit 23m views in 24 hours, and Psy's Gentleman (the follow up to Gangnam Style) took 4 days to reach 100m views in 2013, at that time the fastest ever video to 100m. I suspect that Facebook put quite a lot of muscle behind this once they realised that it was so viral, and did a lot to help it get to 100m, including PR and more. I also think it shows that Facebook is now the best place for a certain sort of video, better than YouTube, because it can reach so many people so quickly. I think it also opens up lots of creative opportunities for using live video that is actually 'live' - think about what sort of times everyone will be looking at Facebook at the same time. How about (in England) right after England's first Euro 2016 game? Lots of people will go to Facebook to discuss the result (or look for distraction) and it would be a great place to respond immediately to what has just happened. One of the things that really winds me up is the lack of decent original content on YouTube. Yes, there are the vloggers, but as far as I can see they're the new Kids' TV. I don't know anyone who watches them, apart from young kids. While they get lots of views, and as a result lots of press coverage, they're only influential to a small group of people - kids. Some of the people who are currently vloggers will go on to do other things when they're older - kids TV examples include Richard Bacon, Ant and Dec, and even Jeremy Irons - but I suspect many won't. I quite often hear people at YouTube talking about all the great content, but they can never recommend anything that I'd want to watch. If I watch something longer than 5 minutes on YouTube it's probably an old documentary, for example one of Adam Curtis' early ones that some public spirited soul has uploaded. By contrast, I'm spoilt for choice with great podcasts - Marc Maron's WTF, The Nerdist, Adam Buxton, ReplyAll, Scroobius Pip's Distraction Pieces, RHLSTP, Tech Tent, Talking TV... There's so much great stuff out there. It's easier to do audio only at a budget. These podcasts are usually enthusiasts talking to each other, which works fine in audio, and don't need much in the way of production. They also don't compete with my TV viewing - Night Manager, Line of Duty etc - because I listen when I'm cooking, when I'm on the train etc. It's now looking like there might be more independent video aimed at an older age group. 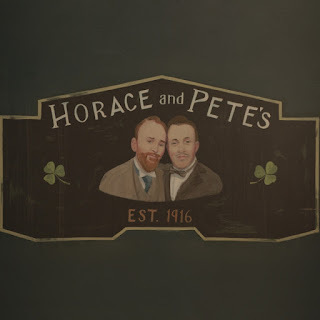 Since January, Louis CK has been filming and releasing episodes of his new show Horace & Pete on his site. 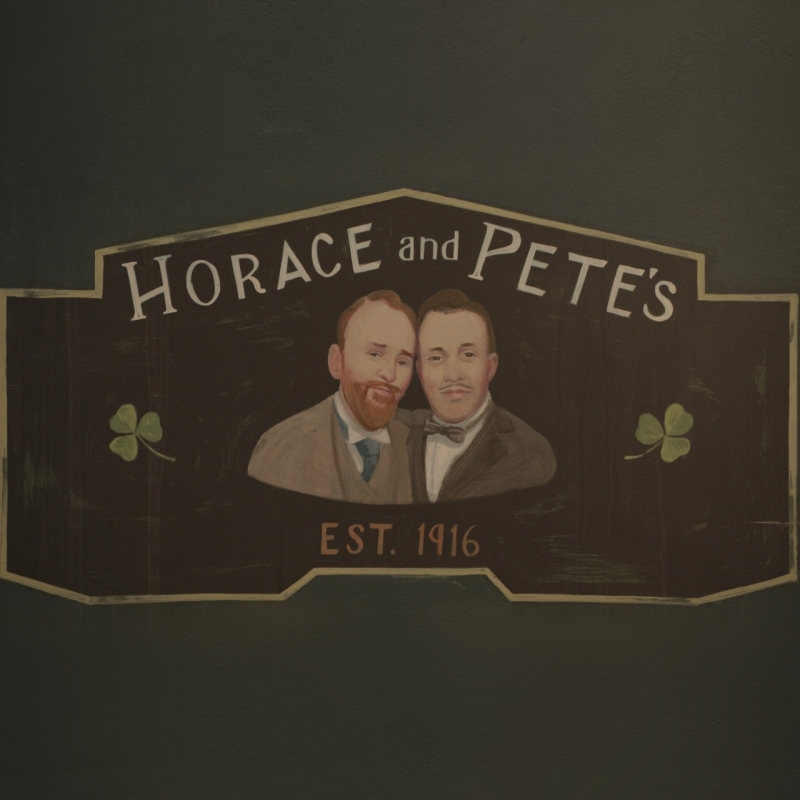 It's a sitcom set in a bar, but more inspired by Abigail's Party than Cheers, and stars Louis and Steve Buscemi as the eponymous characters. Apparently it cost $500,000 per episode to make, and it's being sold for $5 an episode on Louis's site, or $31 for all ten episodes. (remember that he pioneered the direct sale of his own stand-up film 5 years ago). It was 'dropped' an episode at a time from the start of the year, via an email to site subscribers. It's also likely to be on Netflix or HBO at some point - Louis has the rights to licence it to other people. It's not a very replicable example - Louis is a big star - but it's interesting to see him making stuff for online release, like Jerry Seinfeld does - with sponsorship - with Comedians in Cars. Maybe if the audiences and advertising grows, and the costs of production come down, lots of my favourite podcasts could become web series, or develop new formats more suited to being watched rather than being listened to. In the meantime, please tell me what great original content I should be watching on YouTube!